It’s frustrating to find out that the changes you requested have not made it into the artwork. Most probably your email got buried under a lot of other emails and the designer did not see the changes you requested. But with each department sending their individual requests to the designer separately, there may be conflicting requirements which are hard to resolve. So some things get left out. ManageArtworks brings everyone on the same page by providing visibility into what everyone is saying. Users can annotate on the artwork simultaneously and each user can see other user’s annotations. Similarly, your checklist items and comments can be viewed by other department users. While you cannot edit or delete other user’s annotations, you can reply to them and give your opinion. Collaboration between department users makes the life of the designer easier, since it reduces conflicts and brings everyone up-to-speed on what’s going on with the artwork. 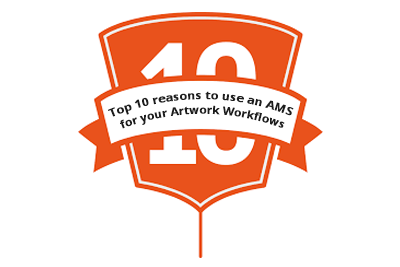 So instead of sending emails with change requests, marking up the artwork online with your requests are a better way to communicate and collaborate. It almost guarantees that your requests are taken care of. Who is currently reviewing the artwork?